This snow-edged morning I rolled up the lacy flared sleeves of my 70's-inspired crimson dress and read poems written by AI bots, curled up by a faux electric fireplace. I felt as though parts of me belonged to the past, present, and future all at once. I cupped a porcelain mug of sencha green tea infused with Italian orange in one hand as my index finger hovered over the "bot" or "human" button options on botpoet.com. Bot or Not presents you with poems and you, all-seeing, all-loving judge, must guess whether the poem was written by an AI or human poet (it's a Turing test for poetry). I found it an entertaining way to intake morning poetry and correctly guessed 7 of 10. Warmth emanated from the electric heater at my feet which mimicked the movement of real flames. It almost felt real, and warmed me either way. The process made me ponder what the seedling of a poem is, what makes it sprout, take root in our souls? 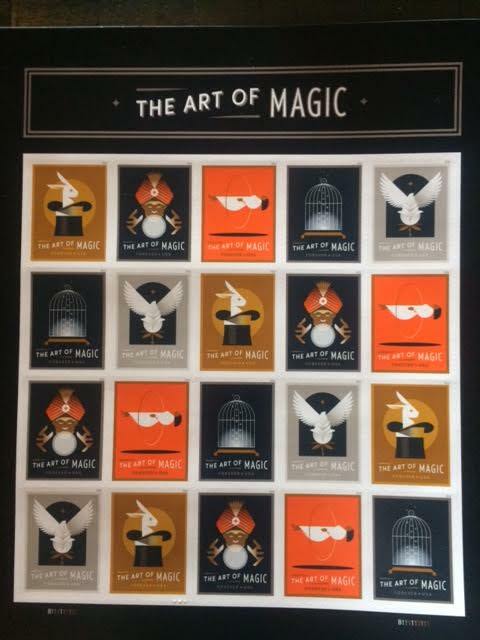 What makes it more than just a clever collection of phrasings and innovating imagery? What lovingly nudges it up to the pedestal of a poem, something we can instinctually recognize in our guts and simultaneously worship? I wondered too whether or not the human experience was a necessary aspect of composing a poem, deciding that simple sentience seemed sufficient. There have been auspicious and vast improvements in the arena of artificial intelligence but I'm most curious as to what they may one day feel. I've yet to discover an AI poem that makes my heart swoon, but will continue to hunt/be patient for that. I even submitted some of my poems for consideration on Bot or Not, so who knows, you may be seeing my words besides those penned by a robot one day. Secretly I hope you know it's me. I had a rough, panicky morning a few weeks ago, when I woke up anxious that I would never be a very good writer, and that I might be wasting my life. This is unusual for me. My resolve to be a writer is unwaveringly optimistic and not even something I see as an option. It has been the consistent obsession of my life. So I asked the universe for a sign, a publication in particular, to show me it's worth sticking with. I got so frustrated with the universe when weeks went by and only rejections poured in. Then I randomly went into my spam folder and saw an acceptance letter for my first short story to be published by the Avalon Literary Review. I'd asked the universe for a sign and it had been given to me, yet the way my inbox was organized kept me from seeing it. The short story is called "The Jump" and will be in their Winter 2019 print issue. I was so happy I cried, and it was as though a great weight had been lifted off my shoulders, one which I hadn't even realized I'd been carrying. Afterwards I posted about it, thanking my college fiction professor, and she sent me a private message that was so generous and encouraging I nearly started to cry again! I get three complimentary copies of the issue––one shall go in my permanent collection of all my printed publications (a humble shelf on my bookcase), one I'll keep on hand to bring to events and share with friends, and the third shall be snail mailed to her. This year I'll be hosting an online writing challenge for prose writing (for our purposes this means essay, flash fiction, short stories and novel) during the month of November. Writers set their own daily word goals (250-500 words a day are common). I've organized this writing challenge in the past and it's a lot of fun––intense, cathartic, and hugely inspirational. You'll be posting an excerpt from your daily writing on the blog (A Novel November) each day for 30 days starting at 9 AM PT on November 1st and going until midnight PT on November 30th. You'll be expected to read and comment on the work of others and can likewise expect feedback and encouragement on your own work. See here for the full guidelines. Space is very limited to maintain a close-knit atmosphere for the writing challenge. 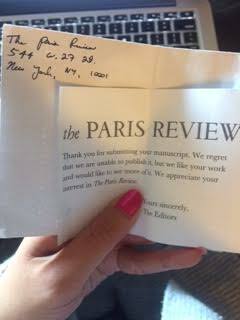 Just before I left for my Labor Day camping trip I received a rejection slip from The Paris Review. I get excited, even about a rejection, because I feel the wheels of the poetry world turning as the process of submitting/hearing back is completed. It was also the first place I submitted to this summer (it's been FAR too long since my voice echoed in the published realm!). So far I've submitted to 11 places this summer (9 poetry submissions, 1 screenwriting grant and 1 short story submission). When I first started submitting poems for publication it was all done by postal mail, and still to this day if I have the option to submit in this manner I will do so. I know it's not the most environmentally friendly thing in the world, but I adore real mail and still even write letters by hand. There is a great list of places to submit to over Autumn at entropymag.org/where-to-submit-september-october-and-november-2018/. Also, remember that getting your writing rejected for publication is not getting a "no" it's a "not yet." Every time you get a rejection back take the time to revisit the poems/stories and attempt a revision. Staying with this habit will ensure you are continually pushing your writing to really get that "lightning" onto the page and eventually you will get published. With a start I realized it was near the end of summer, and feared I'd missed this year's Poetry Marathon. For those unfamiliar with the poetry marathon, it's an intense writing challenge that takes place in the summer, where you write a poem an HOUR for 12 or 24 hours straight alongside poets from all over the globe. It is the phenomenal creation of one of my favorite poet couples ever––Caitlin Thomson and Jacob Jans. When I rushed to the Poetry Marathon's website (https://thepoetrymarathon.com/) I learned the marathon would not be taking place this year, but it will be in 2019, and they will be publishing another awesome anthology if there's the support to make it happen. I'm already excited about that. Also! I had the pleasure of reading at the Poetry Marathon's reading last year so I got to meet a lot of the other marathoners in person. We had cocktails and talked politics afterwards. which I am too exhausted to climb up." I will post an updated crossed-off version at the end of summer. 1. Does the title add dimension to the poem? This lecture by poet Matthea Harvey is richly educational on the subject of titles. 2. Where can I cut the fat? 3. Which details must be fleshed out? If there is a "tree" in my poem, what kind of tree? An aging spotted oak or a frostbitten cherry blossom (or maybe it really is just a "tree")? 4. How can I enhance the music of the poem? 5. Can I reconsider any line breaks? Retyping the poem can lend valuable insight. I play around with where I break my lines to see if anything interesting happens. 6. Is every single word needed? Can a more precise word replace a handful of imprecise words? I always keep in mind the economy of words in poetry. 7. Are my literary choices aligned with my poem's theme/message? 8. Is the form appropriate to showcase this particular poem? 9. Can I dig any deeper? 10. Have I done sufficient external research? If I mention a scientific phenomenon or reference an event in history I'll of course do research for that, but I also use research as a tool to enhance imagery and details in general throughout a poem. Also check out "The Warmth of the Messy Page" by Rachel Richardson who writes in charming candor about revision, and "15 Poets on Revision" for a compilation of quotes by well known poets on the subject. #1. Start with draft zero. Sometime the biggest obstacle is getting past the initial blank page. To promote prolific habits get in the mindset of starting with draft zero. This could be a brain dump or just a poorly phrased sentence. Ignore your ego and write down anything that flows through. Even if it's garbage it will get things moving and better ideas will likely follow. #2. Plan to spend most of your time revising. To revise means, literally, "to see again." To help you accomplish this, get feedback from others, join workshops or writing groups, hire an editor to work with or just buddy up with another writer friend. While a first draft of a poem may flood out in mere minutes, the bulk of the work in poetry is in the revising. Save everything you write, including abandoned versions and all drafts. Sometimes a poem just doesn't work, but a particular line or image within it may be perfect for next year's poem. It's a good idea to go through your old journals every year or so to mine for ideas that may not have made it to fruition in previous attempts. #4. Make a 5-year goal for your poetry career. 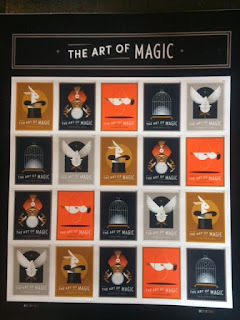 If your goal is to have a book published by then, make something to help you visualize that reality. Sketching out your future book cover is a fun project that you can hang up over your writing desk to provide daily motivation. Remember that every time you do a seemingly small act (send out poems, listen to a Poetry Off the Shelf podcast) you are making progress towards your 5-year goal. Take things step by step, but stay motivated by reminding yourself of how fantastic it will feel when you accomplish this 5-year goal. #5. Find a poetry community or cobble one together yourself. No man or woman is an island: build yourself a network of good, supportive poets whose work and/or work ethic you admire. Do writing challenges together, celebrate publishing accomplishments with them and hear of literary opportunities. Attend an open mic as often as you can. Once per week is ideal, I personally feel best when I am regularly attending an open mic and having weekly doses of inspiration in person. This also allows you to get more comfortable so you can experiment more with your performances in an environment where it's safe to fail. #6. Maintain an organized submissions log. You can do this in an Excel spreadsheet or by hand in a journal. Write down the date of a submission, name of the publication, method used and which poems you included. This way, if one of your poems gets accepted you can easily go back and see where else you sent the poem. Then you can notify those publications that you have to withdraw your work since it's being published elsewhere. It's also a good idea to keep a submissions calendar so you can see when all your favorite lit journals open up their submissions. Every year Poet's Market puts out a new directory of places to submit to. Most libraries should have a copy of this book. You can also go to Poets & Writers for an online database. #7. Say this sentence to others and mean it: "I am a poet." Maybe you feel inferior to others if you've never been published, so you don't want to call yourself a poet. But you know in your heart if you are, and asserting that to others is a huge step to take. Not only will it help with your confidence you will begin to take the work of poetry more seriously. #8. Treat your life as though you were a journalist investigating a mystery. This is a little habit that can have a profound impact on your writing. Have a journal & pen on hand no matter where you are, so that you can jot down notes for poems, inspirational quotes etc. Do this in the middle of a conversation or in the grocery store, wherever you are and whatever you're doing–– stop to write it down if inspiration hits, even if you're not sure what to do with it just yet. Don't file it in your brain's "poetry" category, because so much will end up slipping through the cracks that way. The little jewels of inspiration we stumble across in day-to-day living should not be squandered, and human memory is faulty. #10. Write for an hour a day and make it a deliberate practice. Author Malcolm Gladwell popularized the idea that it takes 10,000 hours to master a field. What's important to note is that these hours should be a deliberate practice. Set a specific time and clear away all distractions (get offline and put your phone away) so your focus is entirely on your writing. The quality of these hours is as important as the quantity.